How to Know Which Small Business Loan Suits Your Business? Home Business How to Know Which Small Business Loan Suits Your Business? All small businesses need funding sooner or later and loans are by far the best way to get that funding. Catering to 29 million small businesses all across the United States, the loan industry has become a substantial part in sustaining the growth of the economy. It’s always easy to know when you are going to need a small business loan but what is difficult is deciding which loan best satisfies your business need. After all, from conventional bank loans to alternative lending, there are so many options now that it is easy to get confused. Yet, there is no need to worry. All you need is to do your research and know your own business like the back of your hand to help you decide how to choose the right small business loan. Let’s see how you can decide which small business loan suits your business. 1. What Are Your Business Needs? The first step is, knowing why you need the loan in the first place. Is it for keeping up with expenses? Are you planning to expand your business? Do you need a safety net in case things go south? Pinpointing your exact business needs is important since it allows you to come up with an approximate figure for the amount you are going to apply for. 2. What Loan Amount Is The Right Amount? Some say you shouldn’t ask for too much loan, others say you shouldn’t ask for too less. In reality, it all depends on why you need the loan and whether or not your business fulfills the requirements to qualify for it. Of course, different lenders have different standards for assessing the health of your business but we’ll get to that later. For now, just remember to ask for exactly how much you need. It doesn’t matter if it is $2 million or $20,000 if you can prove you actually require that amount and are capable of paying it back; no lender will deny you a small business loan. 3. Who are the Main Lenders? Banks are the first ones that pop into mind. They offer conventional bank loans at extremely low-interest rates but take longer to finance your business, ranging from a few weeks to a month. Small Business Administrator (SBA) loans are another option. The SBA does not provide loans itself but guarantees a large portion of the loan for banks to encourage them to lend more. These loans are a good option for any businesses that narrowly miss out on traditional bank loans. Alternative loans are all those loan options that are available to business owners outside of a conventional bank loan. These include private lenders that charge a higher interest rate but faster financing. 4. How to Access The Lenders? You can access the lenders directly in person or through online websites. Especially for alternative lenders, it is recommended to use online lending platforms like Orumfy that ensure that all lenders are authentic and minimize chances of fraud. These lending platforms also help ensure ease, speed and transparency in the loan application process. Online applications also have a faster processing rate than ones submitted in person. 5. What are the Loan Options? After you know who provides the loans and how to access them, it is time to look at the loans themselves. It is important to look at conditions such as interest charged and repayment terms. Banks give out short-term loans that range from 3 months to 18 months or medium term loans, which range from 1 year to 3 years. The interest rage depends on your qualifications as a borrower, the amount of loan, and the type of loan. However, the average interest rate charged is 4% to 6%. Note that the interest rates are often different when you consult different lenders. If you approach a bank, they will offer lower rates typically, compares to online or alternative lenders SBA loans are generally of three types. 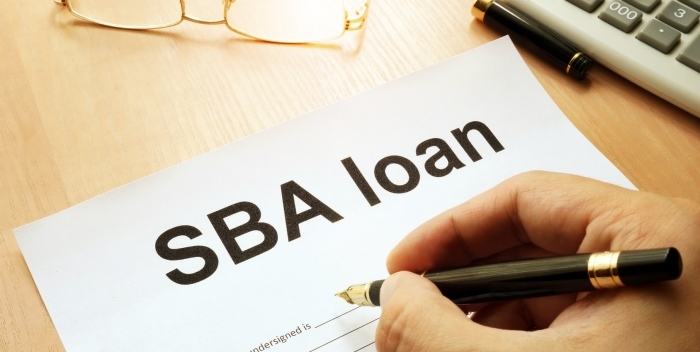 The SBA 7(a) loan program is for loans up to $5 million and can be used for expanding operations, purchasing equipment or as extra capital. The Certified Development Company (CDC) 504 loans are also up to $5 million but differ in term of loan rate and repayment capacity. These are generally used for purchasing major fixed assets. Microloan program is for smaller loans up to $50,000 that are mostly for startups. Alternative loans range from P2P lending, bad credit loans, startup loans, Merchant Cash Advances to Invoice Financing. These loans have swift application processes and provide a fast financing option for your business but at a higher interest rate. 6. What are the Requirements for Qualification? Other requirements include being an American firm that operates independently, providing a comprehensive business plan that covers 3 to 5 years in the future along with financial projections and not having bankruptcy or foreclosure charges filed against you in the past 3 years, etc. Alternative lenders however have more lenient requirements, providing loans to firms that have been operating for even a few months, and accepting credit scores lower than banks. However, the catch is the significantly higher interest rate and Annual Percentage Rate (APR) that comes along with the loan. In the end, it comes down to knowing your own business needs and making sure you have the capability of repaying the loan you wish to take. The loan that best satisfies your business needs will be the one that benefits you in the long run instead of becoming a burden.